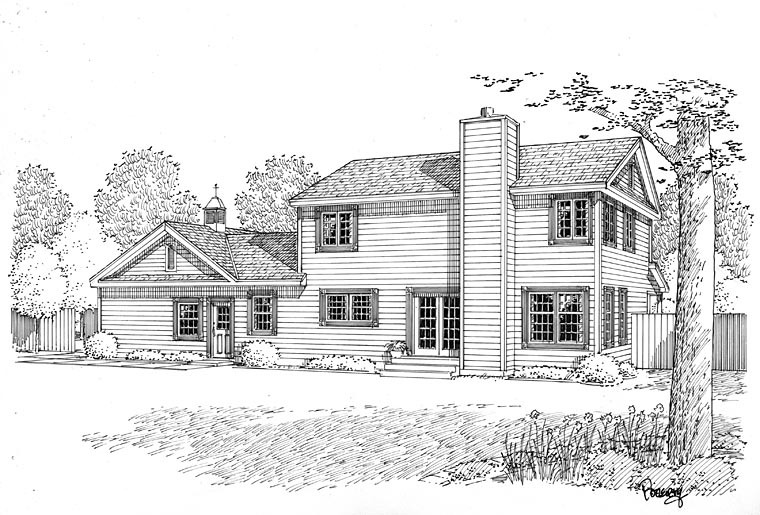 At just over 35 feet deep, this family-friendly 2-story is ideal for shallow lots. 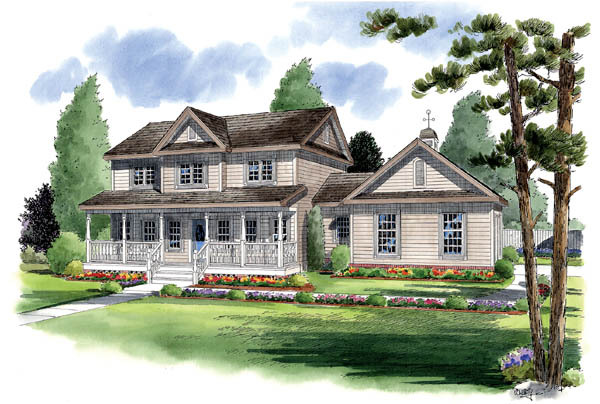 A sprawling front porch and gabled roof create a sense of welcome. Inside, a foyer with large coat closet greets guests. Further inside, the family room enjoys plenty of outside views and the presence of a warming fireplace. An island in the U-shaped kitchen enhances the efficiency of the design. Other kitchen conveniences include an open to the dining room, an adjacent laundry area and easy access from the garage, for unloading groceries. Upstairs, the master suite is separated from the secondary bedrooms for privacy. A centralized sitting area opts as a study/computer area, or can become a 4th bedroom. With modifications, the downstairs den can serve as the 5th sleeping quarters.